The nerve damage that results in neuropathy (also known as peripheral neuropathy) not only causes symptoms such as pain, numbness, tingling, burning sensations, muscle weakness, incontinence, or erectile dysfunction. It can also lead to disfiguring or life-altering complications, so the underlying cause requires early detection and treatment. Symptoms of neuropathy depend on whether autonomic, sensory, or motor nerves — or a combination of them — are involved. Autonomic nerve damage can affect bodily functions or blood pressure, or create gastrointestinal symptoms. Damage to sensory nerves can affect sensations and sense of balance, while damage to motor nerves can affect movement and reflexes. When both sensory and motor nerves are involved, this is a condition known as sensorimotor polyneuropathy. A number of the complications associated with neuropathy stem from loss of sensation. In some cases, you might think that’s an advantage, but not feeling even unpleasant sensations can be dangerous. “All of us hate pain, but pain is a protective mechanism,” explains Peter Highlander, a doctor of podiatric medicine in Sandusky, Ohio. With loss of sensation, the problem is not necessarily the initial injury — which could be something as minor as a blister from a new pair of shoes — but it’s what happens when you don’t notice (and thus don’t address) that problem. Specifically with diabetic neuropathy, “If there’s diminished sensation in the feet, there can be areas of increased pressure that can cause sores or ulcers,” says Matthew Villani, DPM, doctor of podiatric medicine at Central Florida Regional Hospital in Lake Mary. Ulcers, where the tissue breaks down, can be treated with debridement (removing dead cells), antibiotics, and taking pressure off of an affected area, such as using crutches or a wheelchair, until the ulcer heals. Unchecked neuropathy-related wounds “can become infected because they are open wounds, which can also progress into bone infection,” as well as gangrene, a potentially life-threatening issue caused by the death of wounded tissue, says Dr. Villani. If caught quickly, gangrene can be treated with antibiotics, surgery, and oxygen therapy. Likewise, a bone infection can be addressed with antibiotics and surgery. But, Villani says, “commonly, amputations are required if it does progress to that point.” It’s a common problem among people with diabetes: In 2014, more than 108,000 people with a form of diabetes were discharged from the hospital after having a lower-extremity amputation. Sometimes nerve damage can affect your body’s ability to control blood circulation and heartbeat, a condition called cardiovascular autonomic neuropathy (CAN). Common among people with forms of diabetes, it can affect your ability to exercise or exert yourself for extended periods of time, or cause a type of low blood pressure (hypotension) that makes you feel dizzy or faint when standing up. CAN has the potential to be life-threatening. Treatments of CAN tend to focus on symptom control, such as drinking plenty of fluids to raise blood volume and wearing compression stockings. Medication can also be prescribed to control low blood pressure and arrhythmia, including beta-blockers, Florinef (fludrocortisone), and Proamatine (midodrine). Your heart function should be regularly monitored by a doctor if you have this condition. Damage to autonomic nerves can affect your digestion. Gastroparesis is a form of diabetic peripheral neuropathy in which the stomach takes too long to empty, resulting in heartburn, nausea, vomiting of undigested food, an early feeling of fullness when eating, weight loss, abdominal bloating, erratic blood sugar levels, lack of appetite, and stomach spasms. The best treatment for it is to manage your blood glucose levels to minimize damage, keeping in mind that the condition makes that more challenging. If you are managing diabetes, you may have to take insulin more often or check your glucose levels more often to keep up. 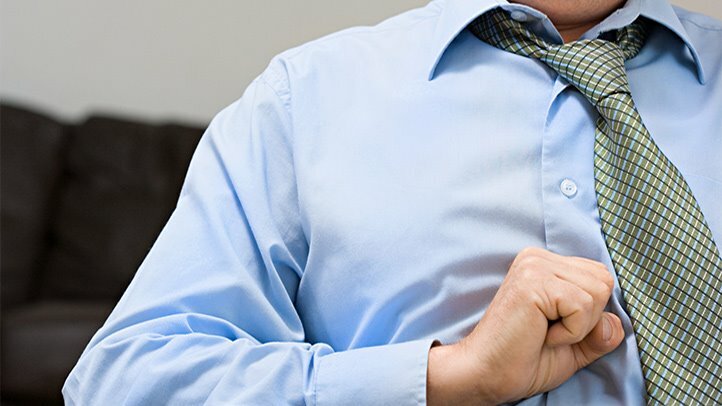 Heartburn and acid reflux are the same, but gastroesophageal reflux disease (GERD) is distinct from that condition — and it has to do with frequency of symptoms. One possible complication of neuropathy is deformity of the joints and bones of the lower extremities caused by a condition called Charcot neuropathic osteoarthropathy (or Charcot, for short). This motor neuropathy results when joints are unable to respond properly to the force being put on them due to disrupted nerve signals. This lack of coordination and resulting inflammation create microfractures that pile up over time and destroy the structural integrity of feet and limbs, causing deformity and dislocation. If your doctor recommends surgery, this condition may make the procedure more complicated, says Highlander. “A neuropathic ankle fracture is at much higher risk for complications, and so it should be treated differently. If a patient knows they have neuropathy, that should be brought up before surgery,” says Highlander. Treatment of Charcot focuses on stabilizing the affected area (with a cast, for instance), avoiding too much weight-bearing, and reducing the swelling. Nerve damage can comprise bladder control, leading to an overactive bladder, underactive bladder, or incontinence. Diabetic neuropathy is the most common cause of this condition, but it is also seen in people with Guillain-Barré syndrome, HIV and AIDS, chronic inflammatory demyelinating polyneuropathy, and amyloid neuropathy. Treatments include bladder-relaxing medication, such as Ditropan (oxybutynin), Detrol LA (tolterodine), or Pro Banthine (propantheline); ones that stimulate bladder nerves, such as bethanechol; botulinum toxin; GABA supplements; and anti-epileptic drugs.